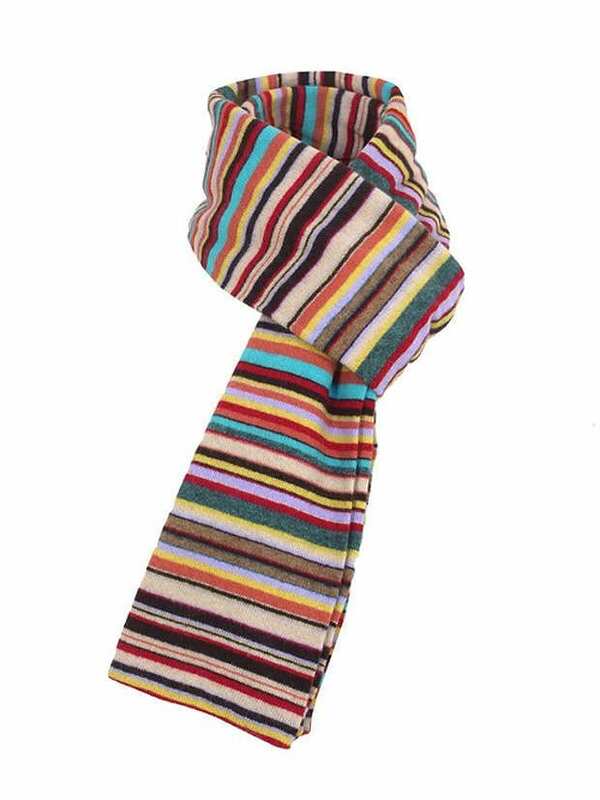 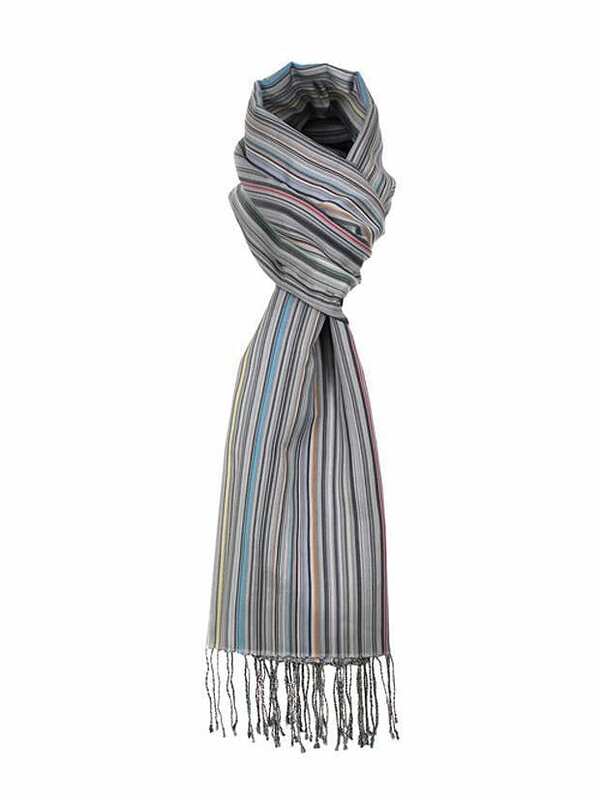 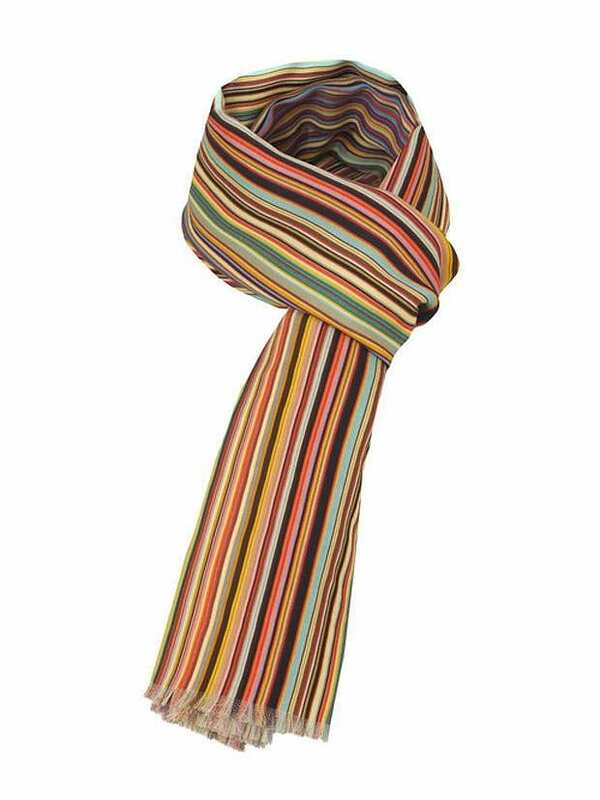 HomeBlogFashion & StyleStylish Multicolor Scarfs by Paul Smith. 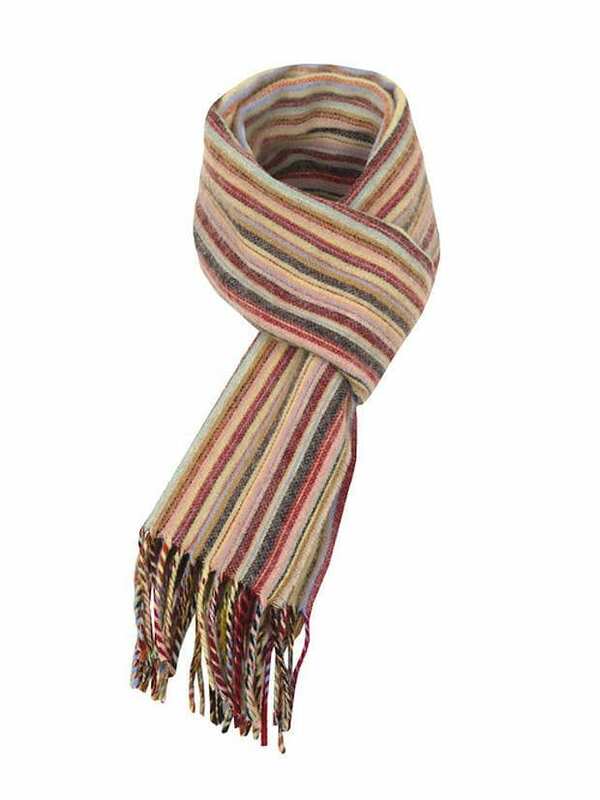 Each time autumn arrives and winter approaches, I catch myself evaluating the purchase of a new scarf. 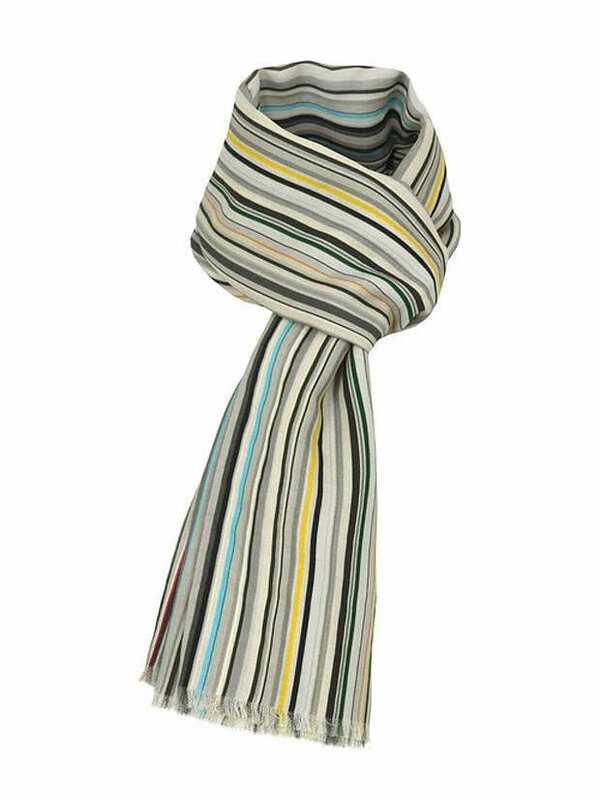 The scarf is a special accessory because unlike smaller objects, it stands out from a distance, and is thus adds a decisive touch to our look. 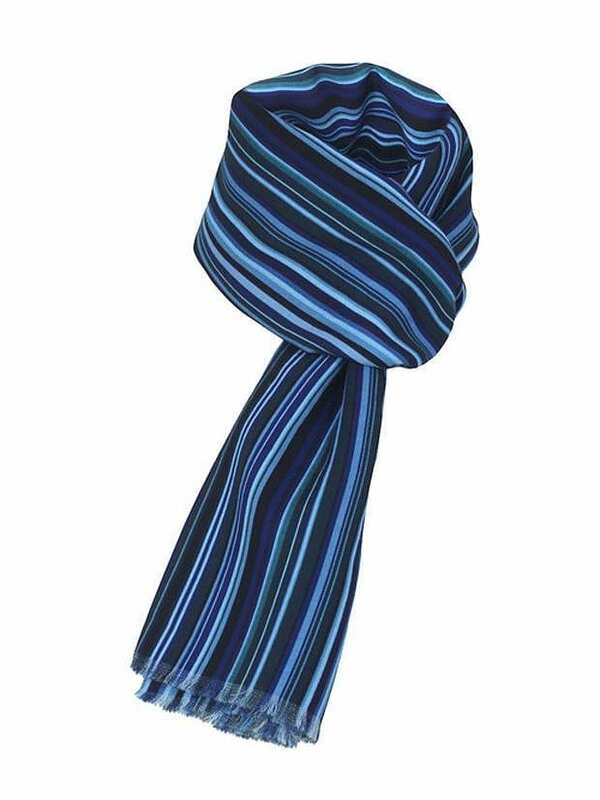 A colorful scarf can easily give this playful note to a dark winter look, or complement the vivid colors you chose if you prefer bolder outfits. 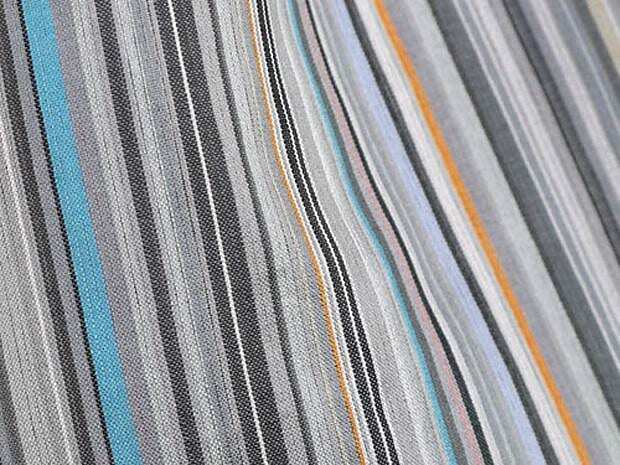 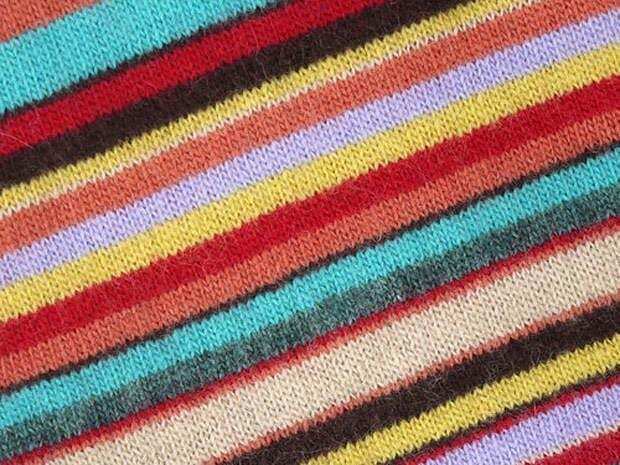 Award winning British designer Paul Smith is undeniably a virtuoso in color matching. 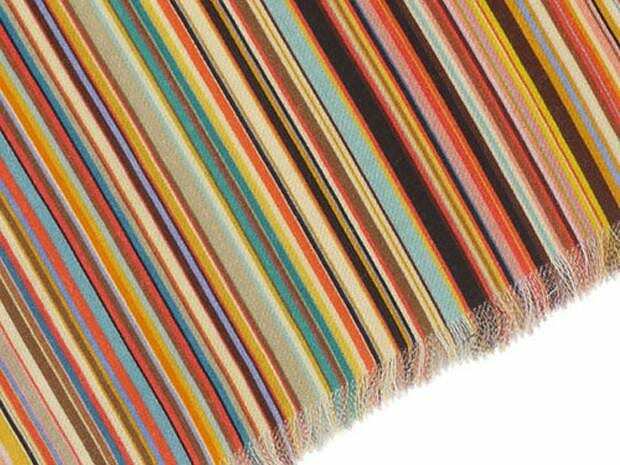 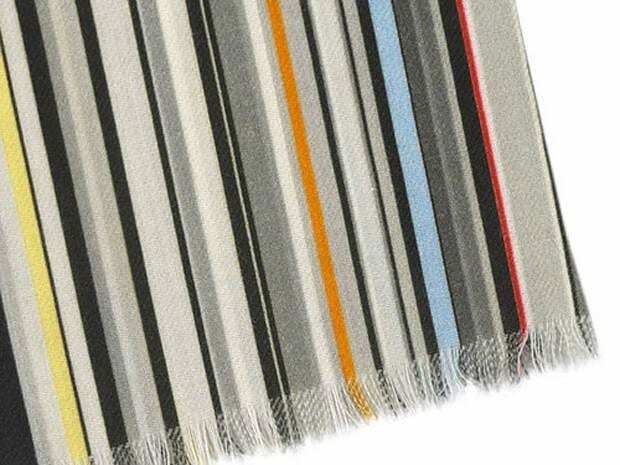 His colorful stripe designs are renowned worldwide and he can blend countless colors to an elegant pattern in a very unique way. 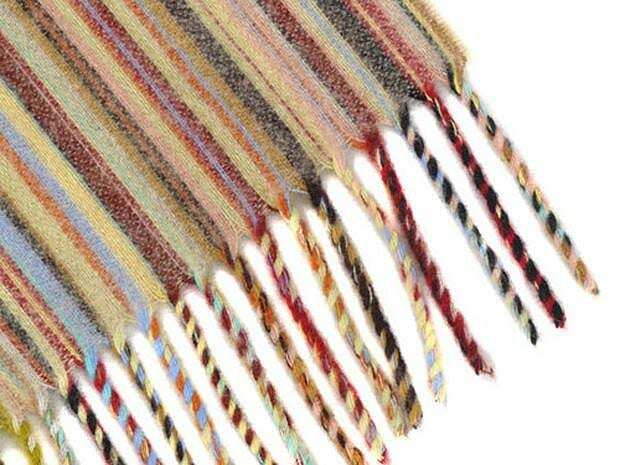 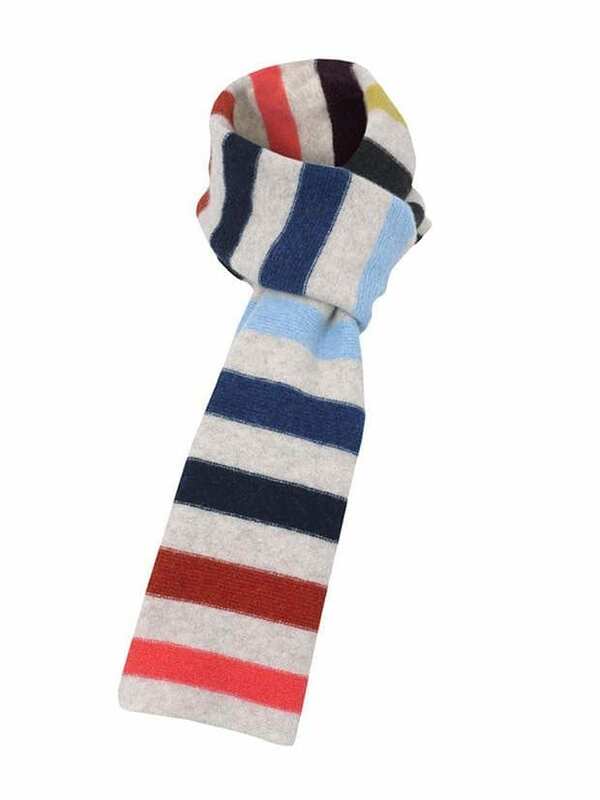 The multicolored scarves by Paul Smith are available in a variety of materials, but my personal preference is definitely the wool ones made of 90% merino wool and 10% cashmere. 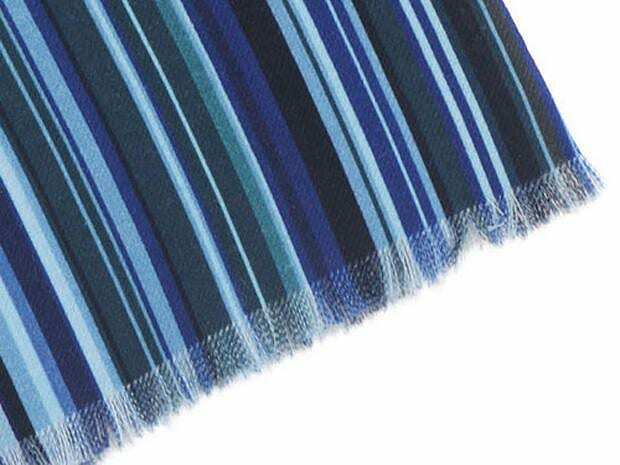 They are are exceptionally soft and warm and have a really luxurious feel. 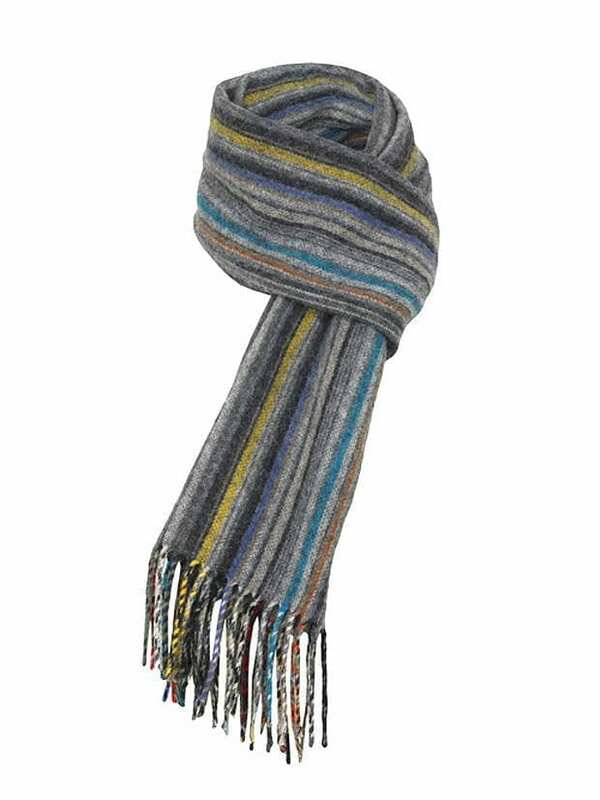 When it comes to wool scarfs an additional advantage is the deep English tradition wool work, which guarantees a standard of quality. 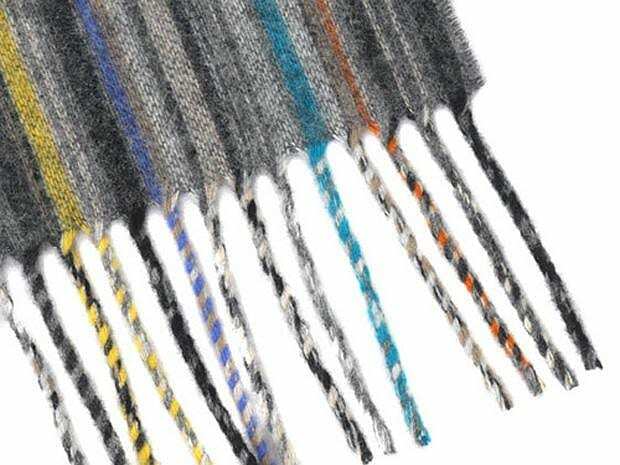 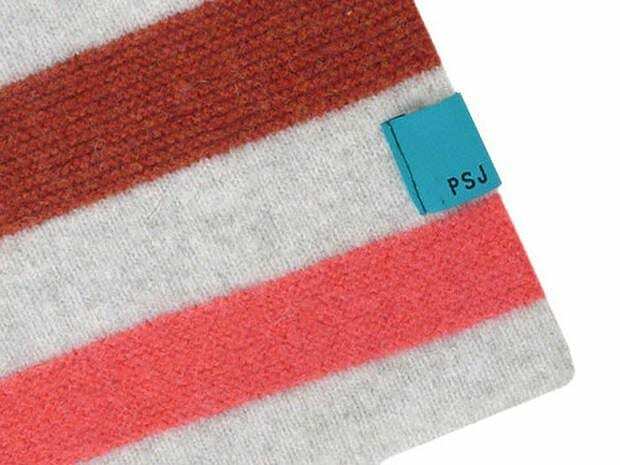 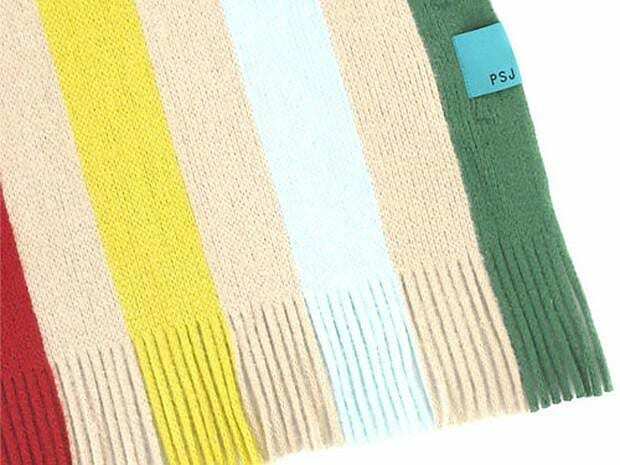 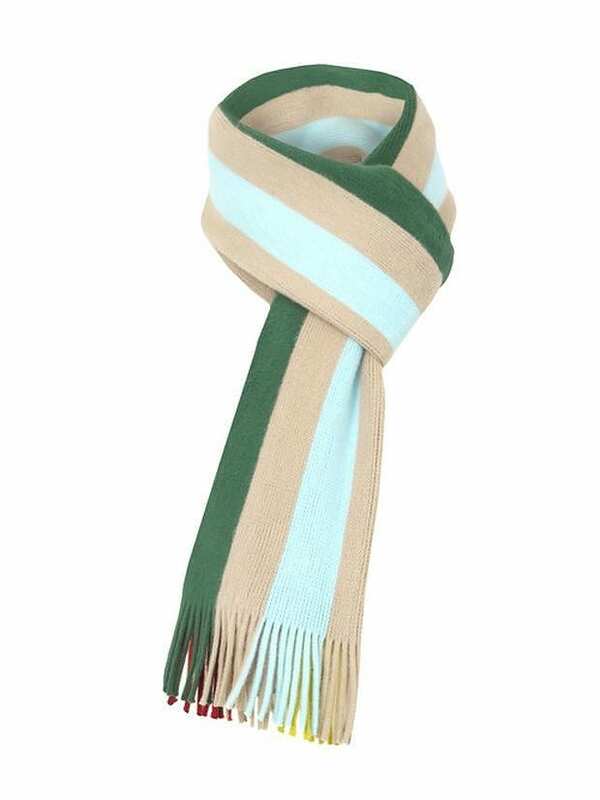 The wool Paul Smith scarfs are made in Scotland. 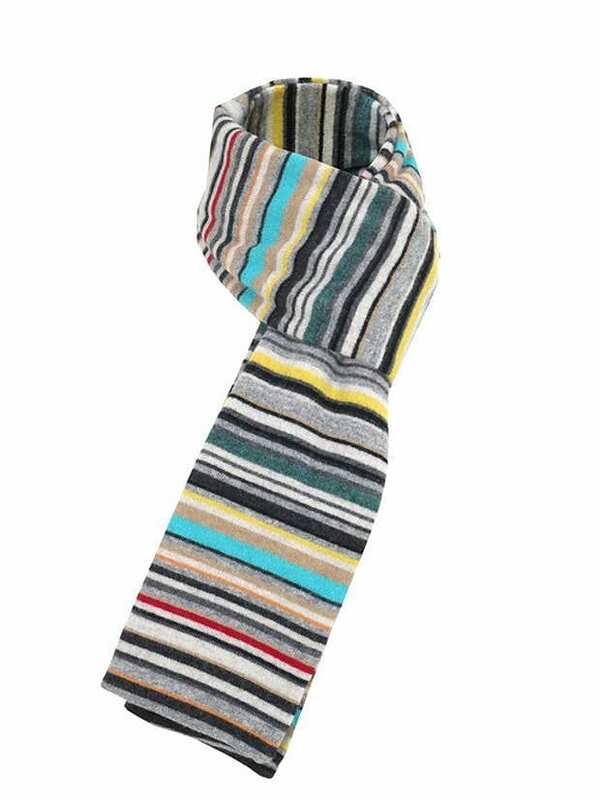 Flexible Take Time Wrist Watch by LEXON.